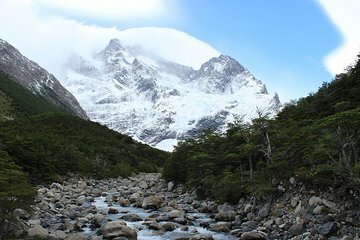 Save yourself the hassle of finding accommodation within Torres del Paine park and benefit from the expertise of a bilingual trekking guide on this comprehensive full-day excursion. Alongside your small group (five participants, maximum), hike around Lake Pahoé, soaking up the sights of Cuernos del Paine and passing through Punta Bariloche, before reaching Skottsberg Lake. Throughout, waterfalls, glaciers, and spectacular viewpoints abound.